How Can You Record Skype Video Calls for Compliance? We have caught up with Simon Monahan, Product Marketing Manager at Red Box Recorders to see how UC environments can be made compliant with applications such as call and data recording solutions for Skype for Business. Buoyed by faster Internet speeds and a growth in hosted technology, more businesses are now turning to Unified Communications to improve workforce connectivity and increase productivity. A cloud-based Unified Communications platform, such as Skype for Business, previously known as Lync, allows employees to stay continuously connected across landlines, smartphones, tablets or computers, regardless of location. As a result, many businesses have witnessed huge efficiency gains and significant cost savings. However, switching from a traditional phone system to an IP-based solution can be daunting. Many of our customers remain nervous about adopting this innovative technology because of the compliance risks it presents, especially for those operating within heavily regulated markets like the finance industry. This is understandable when you consider the costs of non-compliance, which can range from large fines and reputational damage to the loss of ability to trade. For example, the Financial Conduct Authority (FCA) in the UK levied £1.5bn in fines during 2014 alone. For those working in the financial sector, the regulatory environment is increasingly complex and still evolving, with firms having to devote more resource to governance, risk and compliance issues than ever before. In fact, the 2015 Thomson Reuters ‘Cost of Compliance’ survey found that 70 percent of firms are expecting regulators to publish even more regulatory information in the next year, with 28 percent expecting ‘significantly more’. The sheer number of regulatory challenges across different sectors means that compliance continues to drive Red Box’s company strategy, and this is a key reason why we continue to work closely with our partners, such as Microsoft, Mitel and Avaya, to develop recording and analytics solutions that meet the challenges of today and tomorrow. One example of this collaboration is our recording solution for Skype for Business, which was officially launched earlier this year. 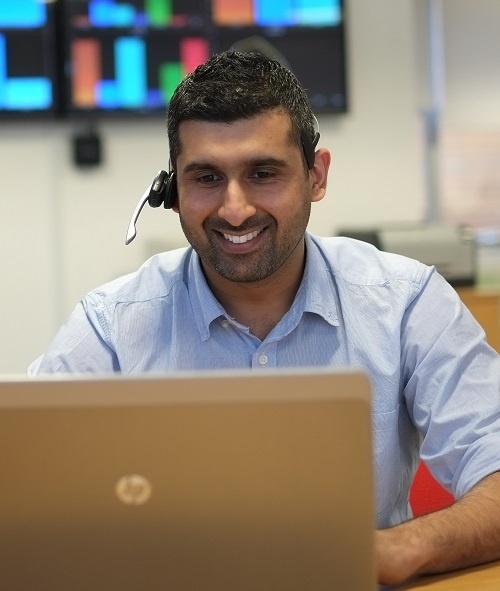 As a member of Microsoft’s Independent Software Vendor (ISV) qualification programme we have been able to design a recording solution that enables organisations using Skype for Business, and the 2010 and 2013 versions of Lync, to capture calls and data for compliance, fact verification, quality monitoring, and other requirements. As a result, we now have a growing customer base across the finance and contact centre industries using Quantify Recording Suite to capture Skype for Business communications efficiently and effectively. Recording Unified Communications is a core part of our ongoing product development and we will continue to significantly invest in order to deliver the most advanced compliance-focussed solutions in this area. For the past 25 years we have been able to offer flexible, secure and resilient products that our customers rely upon, and we will ensure our customers continue to have the most comprehensive, robust and secure recording solutions for this exciting new wave of communications technology.